If you were a kid who was super into playing war, the early 90s were pretty awesome. 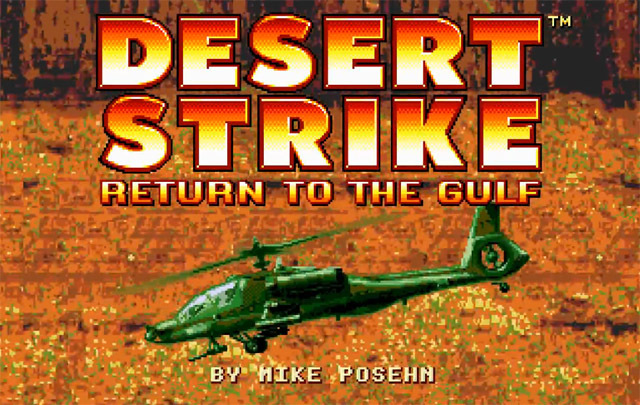 Anyway, as part of this war profiteering racket, Desert Strike: Return to the Gulf was released for Sega Mega Drive, and I played the absolute crap out of it. 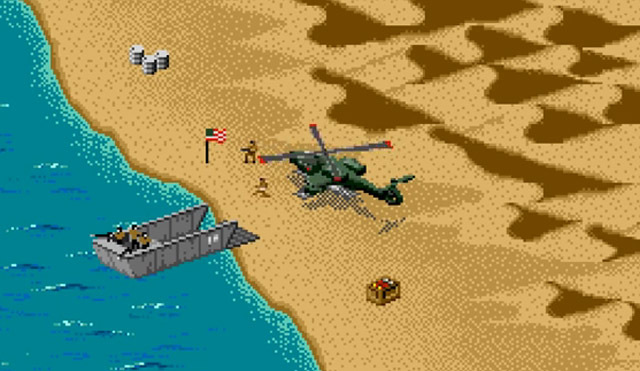 To this day, I have a fondness for flying helicopters across an isometric desert and rescuing tiny little pixel people, and that fondness spawned from Desert Strike. It has the word Strike in the title. It lets you pilot a helicopter. You get to use the aforementioned helicopter to rescue tiny little hostages. This is a game that doesn’t know how to be difficult. 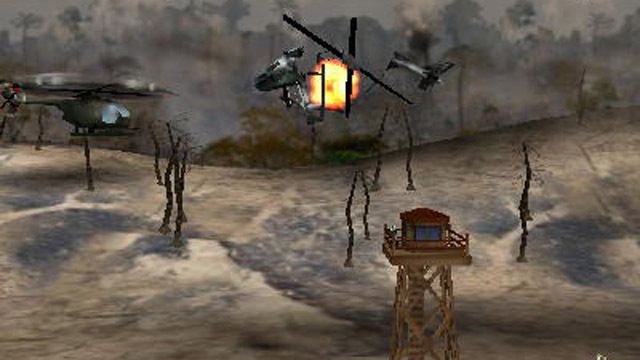 It offers tedious, uninspired, boxed-in situations that you must navigate with a helicopter. The stages feel cramped, so there’s virtually no exploration (unlike Desert Strike, which had gobs and gobs of exploration). Enemy encounters have no pith to them and feel more like inconveniences than challenges (unlike Desert Strike, which had several conflicts that required tact and strategy). No, Strike Force Foxx never aspired to be Desert Strike, so maybe the comparison isn’t completely fair. It’s just weird to me that game developers figured out how to make a damn near perfect helicopter game 22 years ago, yet in 2014 there can exist a new game that refuses to even acknowledge any aspect of what would make that premise into a fun one. In fact, I have more fun looking at screenshots of Desert Strike than I’ve had at any point in my playthrough of Strike Force Foxx. I mean, just look at those explosions.